Part of the Portes Du Soleil Ski area the Roc d’Enfer is a quiet, self-contained resort, often overlooked by visitors to the region. The skiing is perfect for families and beginners; with a more relaxed pace, offering more freedom on the slopes. La Grande Terche, on the Saint Jean D’Aulps side is often used by the locals in order to beat the crowds in peak season and the ski lessons are rated by many as the best in the area, providing you savings from the closest competitors in Morzine. The Roc d’Enfer offers 34 km of varied skiing served by 16 lifts and a selection of bars and pubs placed conveniently throughout the resort. 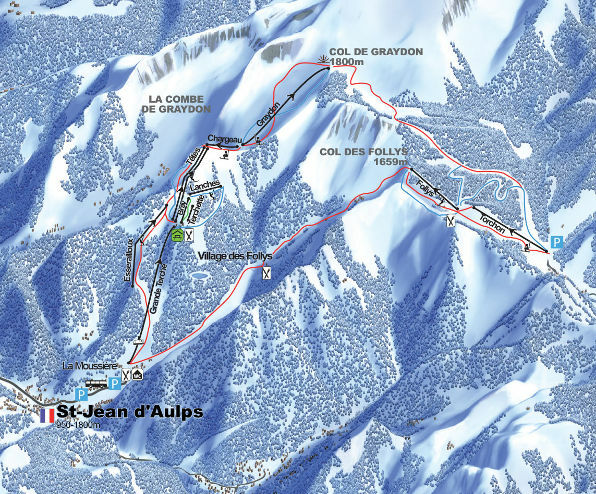 Whether you are looking for groomed runs or cross-country trails, La Grande Terche has a great choice in a charming alpine setting with four blue, three green, seven red runs, three black and enough off-piste terrain to keep advanced skiers and snowboarders happy for days!